FORT COLLINS, CO, DECEMBER 06, 2017 – Online health insurance agency HSA for America reports that thousands of Americans are dropping traditional health insurance plans and joining healthshare programs instead. First started over 30 years ago, healthshare plans have paid millions of dollars for hospital and other medical expenses and are gaining thousands of new members every week. Monthly fees are typically about half that of health insurance premiums, and deductibles are often much lower. With the average family not receiving a subsidy now paying over $1,400 a month for the least expensive health insurance plan available, most families are able to cut their monthly costs by $600 or more. 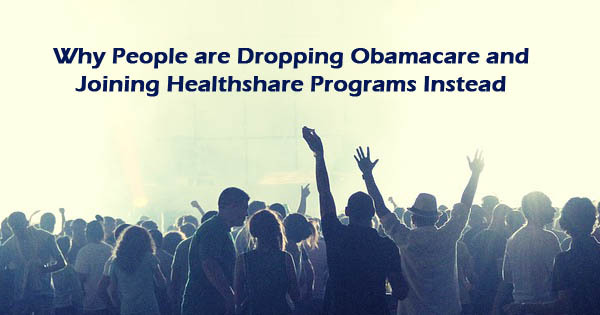 Healthshare programs are a non-insurance way for people to share medical expenses and legally opt out of Obamacare. In a healthshare program, members pay a monthly fee, which is then used to pay eligible medical expenses for its members. Members of healthshare programs are not subject to the mandate requiring most Americans to carry health insurance, nor are they subject to the tax penalty for not carrying approved coverage. Healthshares are offered by medical cost sharing organizations called health care sharing ministries (HCSMs). They also typically contain a faith-based component in which enrollees must agree to a statement of belief or principles. Some programs are strictly Christian-based, while others are more secular. In order to meet the requirements for exemption from Obamacare, they are required to (1) have continuously been around since prior to December 31, 1999 and (2) be a non-profit 501(c) organization. According to Wiley Long, president of HSA for America, choosing to join a healthshare program is the smarter choice for many families. He explains, “The costs of Obamacare disproportionately fall on the small business owners, self-employed individuals and others not covered by a corporate plan or government-provided plan. Many people find these programs simply meet their needs better.” This group, after all, is less likely to have the kind of disposable income to pay such a high premium. However, healthshare plans are not a good choice for everyone. Because they have limitations on what they will pay for pre-existing conditions, Long says that many people are better off staying with a more expensive Obamacare plan. While the Affordable Care Act requires most Americans to carry approved health insurance, there is a way a way to opt out. Thousands of Americans are joining healthshare programs as a way to protect themselves from the risk of high medical expenses, while reducing the monthly cost they would otherwise be spending on health insurance. HSA for America has helped thousands of individuals and families protect themselves from the risk of unexpected medical expenses since 2001. They represent insurance companies including Blue Cross Blue Shield, Cigna, Healthnet, and others, as well as healthshare organizations like Aliera, Altrua, Medi-share, and Sedera. Instant quotes on health insurance and healthshare programs are available at their website: www.HSAforAmerica.com.